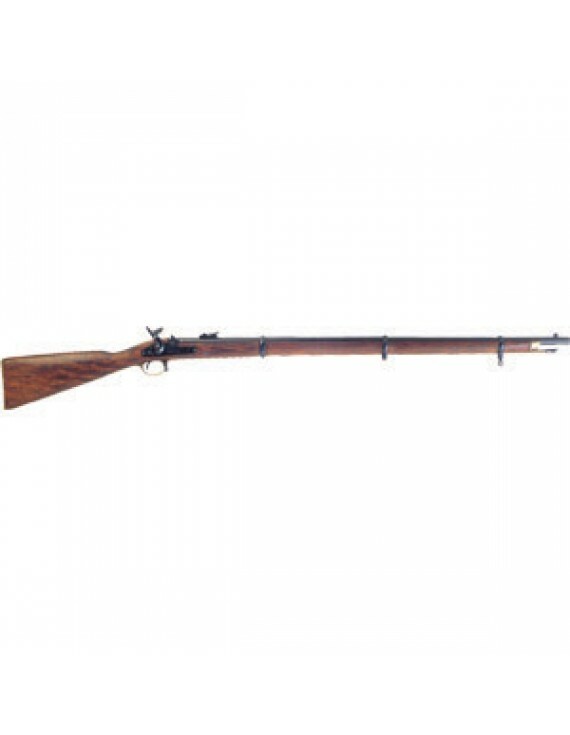 The British pattern 1853 rifle musket was the second most widely used infantry weapon of the Civil War. Both Federal and Confederate troops used the rifle throughout the war and almost one million were shipped to the combattants from several British manufacturers. The gun was widely regarded as well made and very accurate. The .577 caliber of the gun allowed the use of ammunition made for the .58 caliber American-made arms that were standard for both armies. The 1853 pattern Enfield continued to be the issue arm for the British military until 1867.